It is a great Mitzvah to properly eulogize the deceased. Whoever cries upon the death of a Kosher Jew, Hashem counts the tears and places them in his supernal treasure chest. Whoever is lax in eulogizing a Kosher Jew does not merit long day, and is fit to be buried in his lifetime. Hiring a Maspid: In communities that it is customary to hire a eulogizer, the relatives are obligated do so. Two eulogies in single city: One is not to arrange two eulogies simultaneously in a single city, unless there are enough participants for each eulogy. The Talmud Yerushalmi states that the deceased is present and listens to the eulogy, as if it were a dream. He is aware of all that is said before him until he is buried in the ground. The eulogy helps save the deceased from Gihennom. The Chabad custom is not to give any eulogies and so is the custom of other communities. One is to prevent eulogies from taking place for a deceased who belonged to a community who follows the above custom. 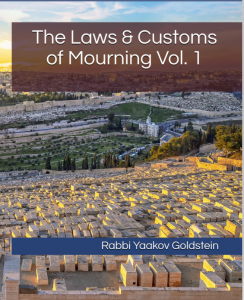 Eulogies are not to be given for such a person even by people who are not accustomed to avoid eulogies, and even if the deceased was a Gadol Beyisrael. [What people call “parting words” is in truth a Hesped, and is not to be given.] After three days from the start of Shiva, one can eulogize the Niftar by saying stories and sayings regarding him. 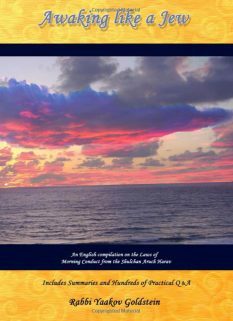 Torah Scholar: A Torah scholar who passed away is to be eulogized throughout the Shiva within his Beis Midrash. However, the other Batei Midrash are to continue their learning. 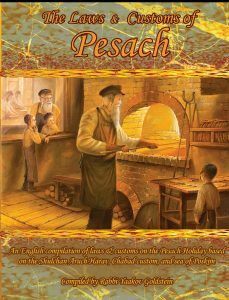 He is to be entered into his Beis Midrash, in the area where he was accustomed to teach, and is to be eulogized there. He is to be eulogized throughout the funeral procession until he reaches the cemetery. Women: One is to eulogize a woman properly just as one eulogizes a man. Women are to be eulogized by men and Sages. A Kallah [i.e. wife] is to be praised in accordance to the actions of her husband, as well as the actions of her father. Children: Children who have passed away r”l are to be eulogized if they are above age 5-6. [Practically, the custom today is not to eulogize a child.] 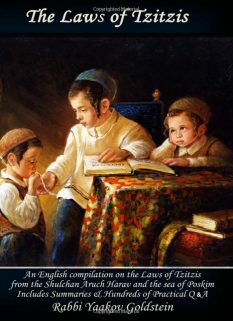 Nevertheless, Tziduk Hadin and Kaddish are recited on any child who passed way after thirty days old. However, the [widespread] custom is not to recite Tziduk Hadin and Kaddish until the child is 12 months old. However, in some communities, the custom is like the former opinion, to say Tziduk Hadin and Kaddish if the child is thirty days old. Making the crowd weep: The Mitzvah of eulogizing is for one to raise his voice to say matters regarding the deceased that will break the heart, in order to instigate weeping from those present. Praising the deceased: In addition to the above, the Mitzvah of eulogizing includes saying praise of the deceased. One is to mention the good character traits that he contained and slightly exaggerate his good qualities, although not too much. If the deceased was a Sage and Chassid then their righteousness and piety is to be mentioned. If the deceased did not contain any good character traits at all then no eulogy is to be given. It is forbidden to over-exaggerate in praise of the deceased or mention praise of matters that the deceased had no virtue in. One who does so causes evil to befall both himself and the deceased. The topics of praise: One is to praise the deceased regarding his learning of Torah, his piety and even more so regarding his good character. Not to show off orating skills: Speaking in the presence of the deceased is only permitted out of respect for him, however speech that is not said out of respect for the deceased is certainly forbidden. Therefore, those eulogizers who intend to impress the crowd with their oratory skills are certainly not doing the proper thing. Many Gedolim were particular on this matter. A Torah scholar: If the deceased is a Torah Sage, and his body is present, which means that it is still prior to burial, then it may be said even on any day that Tachanun is omitted [even if the body is not present at the area where the eulogy is taking place]. This applies even if the Torah scholar is not of the greatest caliber. [Some Poskim rule that the wife of a Torah scholar has the same status as a Torah scholar in this regard.] The day of a Shemua Kerova/Rechoka has the same status as prior to burial regarding a Torah scholar, and hence a eulogy may be said on that day. 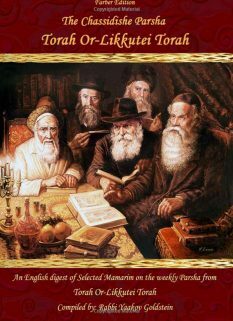 Shabbos: It is forbidden to give a Hesped on Shabbos [even for a Torah scholar]. It is likewise forbidden to give a eulogy on Erev Shabbos, after midday [unless the deceased was a Torah scholar]. 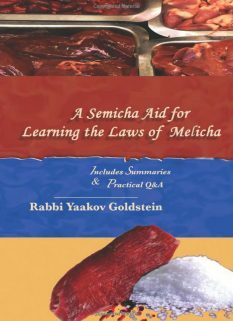 Yom Tov: It is forbidden to give a Hesped on Yom Tov even for a Torah scholar. [This applies even on the 2nd day of Yom Tov in the Diaspora.] It is likewise forbidden to give a eulogy on Erev Yom Tov, after midday [unless the deceased was a Torah scholar]. Erev Yom Kippur: A eulogy is not given on Erev Yom Kippur [even before midday] unless the deceased was a Torah scholar. Purim: It is forbidden to fast or deliver eulogies on the 14th or 15th of Adar [unless the person is a Torah Sage, and his body is present at the time of the Hesped]. This applies in all places and to all Jews whether they are inhabitants of a city that is celebrating Purim on the 14th or a city that is celebrating Purim on the 15th. Nissan: Eulogies are not given throughout the month of Nissan, unless the deceased is a Torah Sage, it is still prior to burial. This applies even if the Torah scholar is not of the greatest caliber. Issru Chag: Eulogies are not given on Issru Chag [unless the person is a Torah Sage, and it is prior to the burial]. From Rosh Chodesh Sivan until the 12th of Sivan: Eulogies are not given from Rosh Chodesh Sivan until the 12th of Sivan [unless the person is a Torah Sage, and it is prior to the burial]. Conversation: It is only permitted to speak in the presence of the deceased of matters relating to the funeral/burial or his eulogy. It is however forbidden to talk of mundane matters within four cubits of the deceased [if he is outside, or within the same room if he is inside]. Therefore, those eulogizers who intend to impress the crowd with their oratory skills are certainly not doing the proper thing. Many Gedolim were particular on this matter. Mechitza: It is important that there be separate seating arranged for men and women during the time the eulogy is given. After the burial: After the burial, the eulogies are to be stopped for the sake of reciting Shema and prayer. Prayers said after the eulogy: At the conclusion of the eulogy, some recite the prayer of Keil Malei Rachamim. However Kaddish is not recited. Michaber 344/3 regarding a husband hiring a eulogizer for his wife, and a father for his daughter and forcing his son in-law to reimburse costs; 344/9 regarding forcing the heirs to pay for the eulogy; Mishneh Kesubos 46b; Sanhedrin 46b; Shach 344/7 explains we only force the heirs to pay if they inherited money/valuables from the deceased, otherwise we don’t even force the children to pay, as rules Michaber 348/2. In 344/3 Michaber depends this ruling on the custom while in 344/9 no custom is mentioned. Seemingly, back then it was accustomed to always pay a eulogizer by a funeral. Michaber 344/20 that a “Chacham, Aluf, Vegaon” is entered into the Beis Hamidrash; See Poskim [Chachmas Adam 155/18; Maharam Shick Y.D. 345; Divrei Malkiel 2/93] in Nitei Gavriel 51/17 footnote 24 that the body of a regular Torah scholar may not be entered into the Beis Midrash unless he is a Chacham, Aluf and Gaon; See Nitei Gavriel 51/17 footnote 26 regarding wives of Torah Scholars. See Nitei Gavriel 52/2 footnote 3 that so is custom; However see Poskim there [Halif Lecha Shlomo 192; Beis David 110] that the world is accustomed to say that at night one does not give eulogies. Toras Menachem 1/3 that so did the Rebbe after the passing of the Rebbe Rayatz. Chol Hamoed Kehilchasa 12/17 footnote 30 that so is implied from all Setimas Haposkim; See M”B 547/2 regarding thirty days before the festival “It makes no difference if this person is a non-relative, or a mourner”; Rav Yaakov Roza [Rav of Chevra Kadisha in Eretz Yisrael] related to me that we do not follow the opinion of the Igros Moshe and there is no way he can allow a Hesped during the Moed even of the children. So is implied from all Poskim in next footnote that the body must be actually present. However, see Admur 429/8 [based on Rambam Yom Tov 6/22 and Avel 11/5] that the definition of “present” is “prior to the burial”, and implies that even if the body is not present, a eulogy may be given prior to the burial. So is also implied from Michaber Y.D. 401/5 who equates even a Shemua Rechoka to Befanav! Other opinions: Some Poskim rule that today we no longer have a Talmid Chacham in this regard. [M”A 547/8 “It seems that today we no longer have a Talmid Chacham who knows Halacha in every area”; Chayeh Adam 118/7; Yosef Daas 401; See however See however Nitei Gavriel 52 footnote 10 in name of Poskim that we do have a Talmid Chacham today, in this regard. 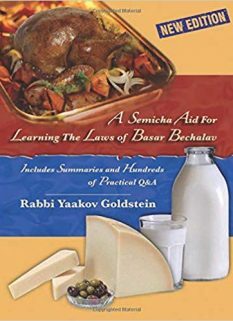 So rule regarding omitting Tachanun: Siddur Admur; Siddur Shlah; Elya Raba 131/14; Shalmei Tzibur p. 151; Siddur Yaavetz; Shaareiy Efraim 10/27; Ashel Avraham Butchach 131; Divreiy Nehemiah 131; Not listed in Shulchan Aruch chapter 131. See Aruch Hashulchan 131/12 and Yalkut Avraham 493 which wonders at this matter. The reason: The reason for this is because after Shavuos there is 7 days of Tashlumin for which the Holiday Karban is able to be sacrificed, and therefore we do not say Tachanun until the days of Miluim of the Karban have passed. The ruling in Shulchan Aruch: In 624/13 Admur rules that Tachanun is not recited between Yom Kippur and Sukkos being that it is days of rejoicing. No mention is made regarding after Sukkos. Other Opinions: The Shaareiy Teshuvah [ibid] writes that it is not the custom in his provinces to omit Tachanun after Sukkos. The reason: The Seder Hayom [from the year 1600] brings that Tachanun is omitted until the end of Tishreiy because it is a month filled with Holidays and joyous events. It contains four different holidays and we were given a time of forgiveness in this month. He therefore writes it is improper to show any sadness after having experienced all these lofty matters of the month, and rather one is to rejoice in it. Shach 344/11 in name of Mordechai end of Moed Katan; Beir Hagoleh in name of Mordechai; Beir Heiytiv 344/8; Elya Raba 1/4; M”B 45/2 in name of Ateres Zekeinim; This opinion is omitted from Admur ibid; See Shvus Yaakov 3/8 in name of Rashba, brought in Shaareiy Teshuvah 1/2 that the custom is not to be careful against walking four Amos being people consider the entire house as four Amos.